The Classic World Rainbow Xylophone lets your baby get creative with music. 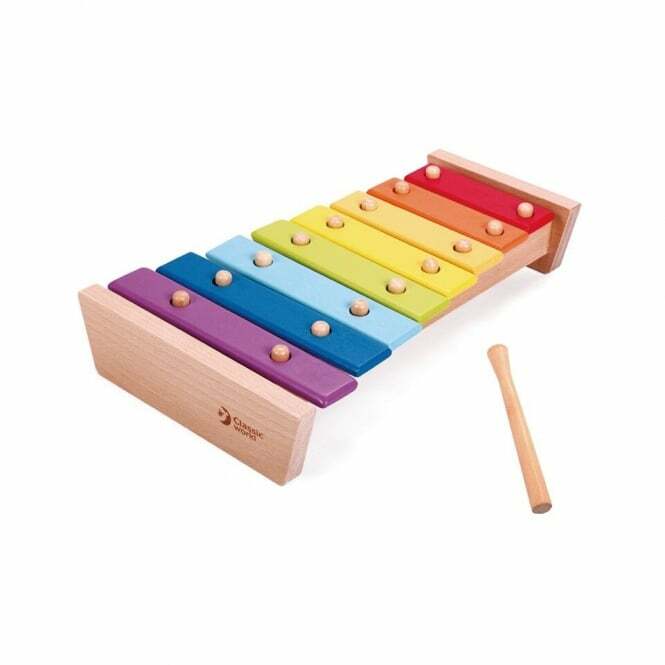 Classic World Rainbow Xylophone features 8 musical bars which produce a melodic sound. Classic World Rainbow Xylophone helps develop hand eye coordination, musical creativity as well as visual and auditory sequencing skills. Classic World Rainbow Xylophone is a brightly coloured, vibrant wooden xylophone that helps your baby learn music and plays 8 musical notes.